I don’t remember exactly how old I was when I first got my ears pierced (maybe 10?). But I do distinctly remember where I got it done. It was in a v classy Claire’s inside the mall and I was (possibly) more nervous than anyone who has ever had their ears pierced before or after. Since then, I’ve accumulated a lot more piercings – most of which either can’t be seen easily OR have closed up over the years. And sadly, my ears are amongst the fallen soldiers on the ‘closed up’ list. I am, however, fairly desperate to get them pierced again, so I can wear all of the cool earrings I’ve been buying lately. Just bought #5 on this list and am contemplating #1, 3, and 6 rn too. Yes, I totally realize I have no business buying earrings when my holes have closed up. But YOLO. Looking for even more earring inspiration? Check out my last earring roundup: super chic and unique statement earrings. Are you yay or nay on statement earrings? See any earrings in this roundup that catch your eye? Good choice, Adel. The heart hoops are definitely fun! They all look so great, especially the gold ones from number 2 and 6! Yes! Love the gold too, Michelle. I love this post, you have made me want to go and get my ears pierced. It is just something I have never really got round to, or been interested in until recently. 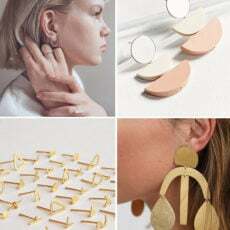 You should totally get your done again and rock some of these gorgeous earrings – I especially like 8 and 18, they are so lush! 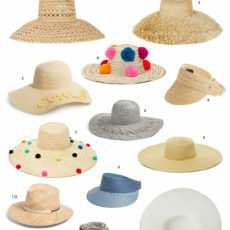 I think #12 might cause me to alter my dislike of tassels – those are nice! I love these! I think my favourites would have to be the little faces. They’re so creative and beautiful, but funny, too!